Being a business owner means that there are a lot of things on your plate: product design and manufacturing, website creation, online strategies, and maintenance. Not to mention, Internet trends are very fickle – this means that tactics that might be working for you now may not be effective in a couple of months. This is because people’s online behaviours’ are ever changing, and your online strategies are heavily influenced by those behaviours. However, business owners seem to gloss over an important part of online branding: the WHOIS Lookup. In fact, if you ask people about it, they would not even know what it means and what it is for. But did you know that the WHOIS system allows you to identify trademark infringement? It can even be used to fight off phishing scams. Here, we will explore what WHOIS Lookup is and how your business website can benefit from the system’s features. Part of developing a brand identity is making sure that your domain is unique and easy to remember. Some business owners would use their company name as their domain nameand this is completely fine, ideal, even. However, if your company name is difficult to understand or has too many complicated elements like hyphens, numbers, or an acronym, that might cause a problem. So what they do is they coin a word or a short phrase to use as their domain name – this is definitely fine, too. The only concern is if there is another website which uses the same word or phrase. Assuming that you used it first, the WHOIS Lookup can allow you to keep your domain’s uniqueness by giving you a list of websites that uses the same domain. It then gives you registrant and technical information so you can contact the domain registrar. Remember that even if it is just a blog, a website that has the same domain name as yours will be harmful to your online presence. This is especially helpful for those who have domain backorders, because the WHOIS Lookup tells you when a domain is about to expire and to whom it is registered. Let us say you are resolved to using a specific domain name but it is currently owned by another website, do a quick WHOIS search and see if it will expire soon. When it expires, you are given a time window to purchase or bid on the domain. Probably one of the best features of the WHOIS system is its ability to track phishing scams, spam, and fraud. Whenever there is illegal content being posted by a registrant, they can be tracked down using the WHOIS verification feature. This is highly imperative to you because content is being posted on your behalf, either through hacking or through accidental posting, is a possibility. 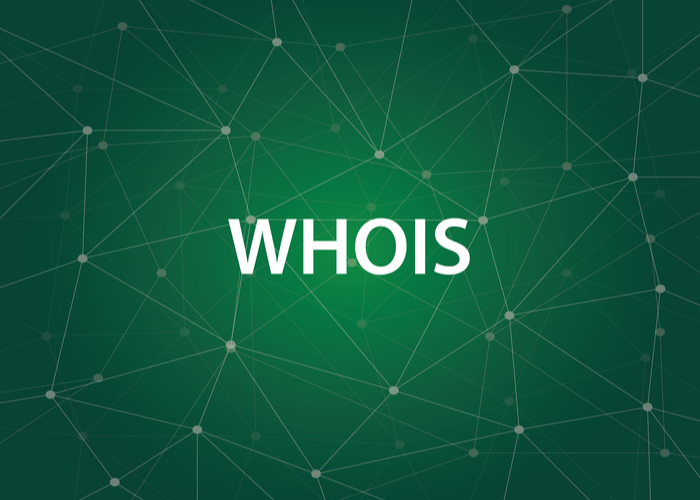 Now that you know what the WHOIS Lookup is capable of, you might be worried about what other people might use the contact information for. You might think that you run the risk of marketing spams or automated queries coming from other website. You would be glad to know that the Internet Corporation for Assigned Names and Numbers (ICANN) makes sure that does not happen; that information being retrieved from the WHOIS Lookup is purely for lawful purposes.